This is a quick one. 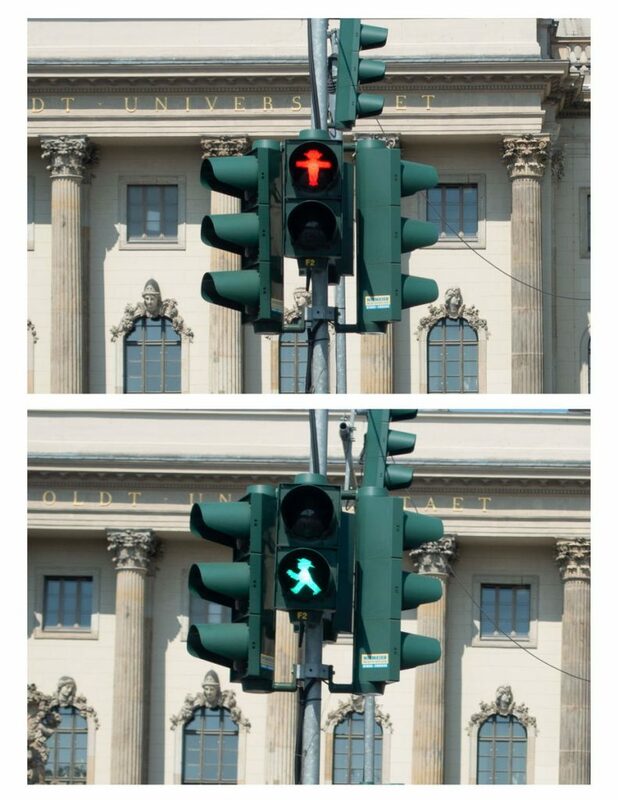 One of my favorite things about Berlin is their Ampelmann crosswalk signs. This is a remnant from the old East Germany that the people in Berlin must love as much as I do because they chose to keep them after the wall came down. You can tell if you are in what used to be East Berlin just by looking at these little guys. The ones in West Berlin look just like ours do at home. They are so popular that there are tourist shops around the city selling all sorts of stuff with Ampelmann printed on them.